Why Do Some Broiler Recipes Call for Sugar? 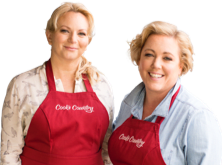 Get a FREE TRIAL ISSUE of Cook's Country Magazine! A guide to picking the best vegetables at your farmers’ market this spring. WEEKNIGHT COOKING I Love Italian Food but I'm Sick of Pasta. Any Suggestions? Easy, polenta. It creates a soft, flavorful place for Italian sausages and peppers to nest. Step aside KFC . . . there’s a new popcorn chicken in town. ASK THE TEST COOKS Ask Matthew: We’re Renovating Our Kitchen. Are There Any Fresh Dinners I Can Make Without a Stovetop? This series answers all your cooking questions. And yes, by “all” we mean the wild, silly, and “stupid” ones, too. Figs add a fruity twist to this exceptionally flavorful meal. Everything good has to start somewhere. Here's why you should begin here. Sign up for our newsletter and take your cooking skills to the next level with weekly recipes, product reviews, and exclusive behind-the-scenes looks at our test kitchen.